A girl with no name, known simply as “the lass” or “pika” is given the ability to speak to animals, and the most beautiful name. She is taken to live with a great white bear for one year and one day and her family will become rich. But soon her true love is taken away from her and she must travel east of the sun and west of the moon to save him. I. Loved. This. Book. It was simply wonderful! I don’t know what it is about fairy-tales turned into novels but I just can’t get enough! 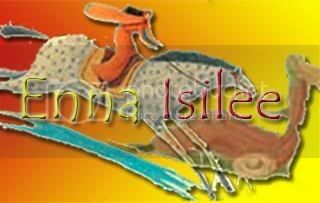 The characters were delightful and the mystery was entrancing. I loved Dragon Slippers but it doesn’t hold a candle to this book! Jessica, you’ve outdone yourself! I didn’t even know it was out yet! I saw it a week ago at the bookstore (while meeting Rick Riordan) and my grandpa offered to buy it for me (I would have bought it myself but I have absolutely no money). I didn’t think it would be anything like it actually turned out to be. I don’t know why exactly. 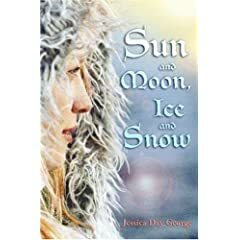 Coming soon, an interview with Jessica Day George discussing Sun and Moon, Ice and Snow (squee!). My mom's read East and I've had a bunch of people tell me to read it, but I haven't. My copy just arrived from Amazon today, and I'm really excited to read it. Hurray for your first interview; I still haven't summoned up the courage to email an author and ask for an interview yet. So...are you satisfied with your decision, Enna Isilee? I am pretty sure Shannon reccomended this one too, so I'll have to find it. Yes. Read East. It's pretty fabulous. I love this book. That's so cool you're interviewing someone. I'd feel kind of awkward asking an author, but I really want too. I'm currently reading this. :) So far, so good. Sounds fabulous! I'm sort of currently reading this. I started it and now it's somewhere in the center of my enormous TBR pile. Can't wait to see the interview, Enna Isilee!